You may or may not have heard of the ill-famed Fyre Festival, the event that was set to go down in history (yes, pun intended) as the most luxurious and exclusive island getaway one could ever dream of attending. Fyre Festival was supposed to be the queen of festivals, the crème de la crème when it came to beach villas and resorts, music talent, jet skiing, celebrity sightings and encounters, you name it. What most people didn’t know at the time was that virtually everything about the Fyre Festival was a fallacy and that the things promised were merely living in social media’s alternate reality. Ironically, social media served both as the bastion and weapon of destruction for the egregious Fyre Festival. Thanks to the likes of socialite Kendall Jenner, supermodel Bella Hadid and others, the Fyre Festival quite literally blew up like a storm. Through the power and clout of the most elite social media influencers, Fyre Festival became the most anticipated event of the year, with tickets selling out in the thousands. It wasn’t until people hit the ground at Great Exuma (not Pablo Escobar’s former and remote private island as it was advertised) and began sharing photos and videos of the site, that the world uncovered the true face of the Fyre Festival. The failed event garnered so much media attention that two rival documentaries have now been released: Hulu’s Fyre Fraud and Netflix’s Fyre: The Greatest Party that Never Happened. Both documentaries expose a phenomenon that proved to be a byproduct of the force of influencer marketing, but the narratives differ slightly on who is primarily to blame. Because Netflix’s Fyre is produced by Jerry Media, the same company that was hired by the Fyre team to conduct all marketing and social media operations, this version casts most or even all the blame on the festival organizer, Billy McFarland, and downplays any role it might have had in the unfolding of the catastrophe. On the other hand, Hulu’s Fyre Fraud concentrates on the social media marketing aspect of the story and jabs at the absurd influence of social media stars and celebrities. Despite the contrasting narratives, both documentaries convey the same takeaways and hint at the PR lessons to be learned from this magnificent disaster. Every aspect of the Fyre Festival was phenomenal except the product. The festival organizer, Billy McFarland, undoubtedly hired the best of the best, but did not realistically evaluate his vision before executing. He jumped impulsively on his vision without determining how much time would be needed to build what he had in mind. The lesson here is that no matter how good your marketing or PR strategy is or how much investment you receive, you should still determine whether there is a foundation in place to deliver given factors such as time constraints, location and money. If there’s one thing we learned from the Fyre festival fiasco is that influencer marketing has the power to move mountains by creating a tremendous level of awareness and visibility. A handful of high-profile influencers were paid large amounts of cash to post promotional content (yes, we know about that infamous orange square) on their social media accounts, creating extreme hype and anticipation. Sources say that Kendall Jenner was paid a whopping $250K for one single sponsored post by Fyre Festival. The problem was that as influencers cashed in, the product fell behind on expectations as not enough money was being allocated to development and infrastructure. Mismanagement of funds coupled with the large cost of sponsored posts by high-profile influencers produced a divide between reality and expectations. When selecting influencers for your campaign, it’s important to define the goals and the target audience for your brand, service, product or event. In the case of the Fyre Festival, the organizers should have collaborated with smaller name influencers that would have reduced the cost of the social campaigns. Microinfluencers could have done the trick for Fyre Festival as they often have more clout over smaller targeted audiences. The big takeaway here is that brands should have a strategic plan of action for influencer marketing campaigns, including clear definition of goals and target audiences, as well as thorough research on influencers. The festival organizer, Billy McFarland, failed to recognize when he should have terminated plans for the event and as a result, the event blew up into an even bigger disaster. Amidst all the warnings from investors and others involved that the festival would not deliver on its promise, Billy still pushed the event forward. This turned out to be one of the biggest mistakes as the management had to deal with all the people who were left stranded without proper accommodation or basic necessities. While all the promotional videos and pictures circulated on social media, the festival was lagging behind and Billy failed to pull the plug even though he knew that the event would not deliver even weeks before it was set to happen. We urge brands to keep these lessons in mind with the hope that history doesn’t repeat itself. You’d think it would be easy enough to hand out money, but venture capital firms are finding that can be a challenge. Since everyone wants to fund the next Facebook, VCs vie with angel investors, private equity firms and crowdfunding. VCs struggle to be heard over the noise and to create visibility. Meanwhile, startup founders are also wary of VCs and fear micromanaging and overfunding that will leave them with little equity in the companies they create. In this environment, branding matters. The issue of the promotion of VCs has rarely been studied in depth, but a 2013 report by the National Venture Capital Association found 88 percent of CEOs believed a strong brand can help VCs attract entrepreneurs. 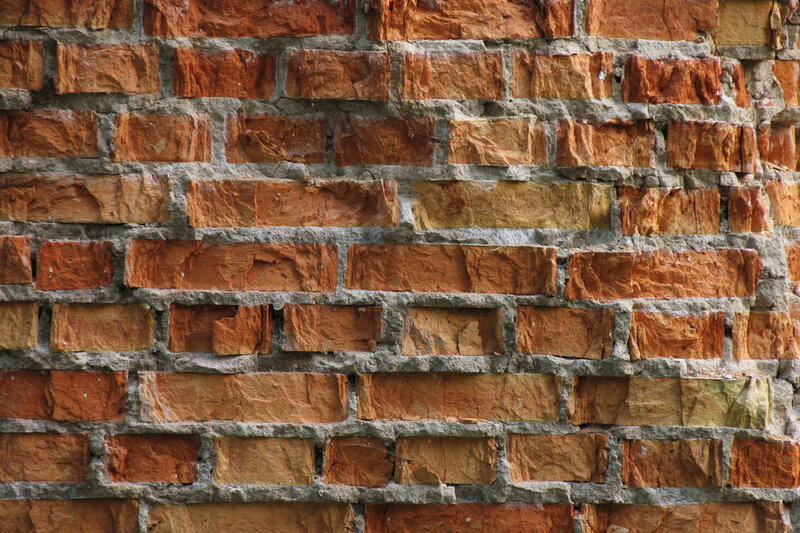 One method to build a strong brand is content marketing. Smart, consistent thought leadership raises a VC’s profile and articulates what a brand stands for. A minority of VCs are good at content marketing, but most don’t try. The NVCA study found that branding and communication is often a problem for VCs. For instance, CEOs were wary of the term “hands on,” which VCs use a lot. (A preferred alternative is “collaborative”.) Such CEOs are looking for value beyond funding, which boils down to expertise, guidance and accessibility. Others haven’t established a firm identity for expertise, whether it’s SaaS, enterprise or artificial intelligence. The best vehicle for VCs by far is word of mouth from other entrepreneurs. Short of speaking at industry events, the best means to influence that word of mouth is a firm’s blog, which CEOs ranked higher than traditional media or online trade media. As most VCs know, content marketing is also how many startups achieve visibility in a cost-efficient way. A 2015 HubSpot survey found the more companies blogged, the more traffic their websites got. Companies that blogged 16 times a month got 4.5 times more traffic than those who posted zero to four times a month. Some 47 percent of buyers engaged with three to five pieces of content before engaging with a sales rep. Though those figures don’t refer specifically to startup CEOs, the same thinking applies — you do some research before you decide to go into business with an investor. If the startup is based on the East Coast, content marketing might draw attention to VCs that are a quick drive away. Astute VCs recognize the value of content marketing. Many VCs advocate this approach to the startups they fund and eat their own dog food. First Round Capital’s First Round Review aims to be a Harvard Business Review for startups. The site is known for in-the-trenches views of the issues startups face and interviews from execs at Pinterest, GrubHub, Instagram and others. Boston’s OpenView also offers a firehose of content with proprietary research and a podcast featuring interviews with the firm’s executives and execs from the startups OpenView funds. Andreessen Horowitz, meanwhile, became the first VC to host a podcast, in 2014. Cofounder Marc Andreessen has also illustrated how a tweetstorm can generate visibility. Others, like Union Square Ventures and Upfront Ventures are lucky to have prolific and eloquent bloggers in house (Fred Wilson and Mark Suster, respectively). As brilliant as most VCs are, however, most haven’t stepped up their blogging game. There are various reasons. Some are great investors but not great communicators. Some are perfectionists who can’t churn out copy. Many just don’t commit time to it. PR firms are filling that gap, employing former journalists to draw out those VCs’ knowledge and present it in a digestible and literary form. Most VCs are missing this opportunity to differentiate themselves. VCs may not think of themselves as brands, but that’s the way startups look at the landscape. That’s why VCs that are looking to get higher on startup CEOs’ consideration sets should consider content marketing as another tool in their arsenals for generating positive word of mouth and for establishing their brands. This article originally appeared in Odwyer's. For many people, Anthony Bourdain’s shocking June suicide was one of those instances in which the workaday routine came to a halt as we went online to share our thoughts and memories of the man. Even the President took a moment to offer some kind words about the acerbic Bourdain. That instance was notable because so few events manage to have a lasting impact these days. Think back to some of the big news stories of this year — the brief government shut-down, the summit with North Korean leader Kim Jong-un, the Super Bowl, the Winter Olympics — and it’s all a blur. It’s no wonder in this environment that “viral” videos can’t get the traction and staying power they once did. Do any of the most viral ads of 2017 stick in your mind the way that Roller Babies or Old Spice do? It’s time to admit that virality almost never happens anymore. When it does, it hits so quickly that it doesn’t have a lasting impact. That’s good news for the PR industry. For too long, marketers and clients have assumed there was a formula for virality. Now that virality itself is in question, we can admit the issue has been a distraction and instead focus on reaching the right targets with the right messages. There’s no mass media, even on the Internet. In the first few years, everyone on the Internet passed around the same things. Now it’s too big and we’re too split into our little communities. It’s sort of like what happened to TV over 50 years, but in this case it took five. Things now go “viral” in different niches. Do you know what a Prequel Meme is? It’s hard to go a week without a meme based on the Star Wars prequels hitting the front page of Reddit. But Prequel Memes haven’t caught on the way that the Success Kid or Grumpy Cat or Rickrolling did. The Balkanization of digital media is one reason. Another is that things move too fast these days. Remember that Yanny vs. Laurel thing from May? That lasted three weeks before heading into oblivion, according to Google Trends. The Dress’s run was about twice as long in 2015. Things don’t last as long because the public and the media don’t savor anything. There’s always a new controversial tweet or fresh batch of memes on Reddit to choose from. While the tendency of the public to move on quickly has troubling implications, from a PR standpoint, the message is that nothing really goes viral anymore. This should be liberating since trying to make something go viral was always a crapshoot. You could argue in the early days that people like BuzzFeed founder Jonah Peretti had a feel for what could go viral, but now there are no experts anymore. But going viral was always a pointless exercise from a branding point of view. For instance, after the huge success of the Roller Babies video in 2009, Evian’s sales fell 25 percent. That’s not always the case, of course. Dollar Shave Club pretty much built a $1 billion brand around a viral video. But the link between virality and brand performance isn’t always clear. That’s why a smarter way to approach the virality issue is to aim for going viral within a certain group. Social media affiliations and our occupations and interest mean that we are very interested in things that affect our groups but couldn’t care less about digital mass media. That’s why it’s better to aim for a category-virality than the traditional kind. Virality is dead. Long live virality. Imagine you’re the new CMO at a breakfast-oriented restaurant chain that’s the culinary equivalent of Holiday Inn. Your goal is to get everyone talking about the brand, but without resorting to anything salacious, embarrassing or off-brand. That was the challenge that Brad Haley faced recently, and he hit it out of the park. Haley, who made his name by recasting Carl’s Jr. as the fast-food destination for Maxim readers, managed Spinal Tap’s fine line between clever and stupid with his “IHOb” stunt. For those who missed it: IHOP announced it was changing its name to IHOb, and the b is for burger, an item that has been on the menu since 1958. Yes, this was a stunt. I don’t mean that derisively. If anything, stunts are underappreciated. The reason we don’t see more of them is that they’re so hard to pull off. What is a stunt, anyway? The word stunt is often used as an epithet, as in “Oh, he doesn’t mean it, it’s just a stunt.” But I like to think of PR stunts in the way Evel Knievel jumping the Snake River was a stunt — as in there’s a huge potential for loss. In this age in which every communication is parsed on social media, daring is a rare trait among marketers. Most focus on playing defense by avoiding saying something dumb and refraining from weighing in on hot-button issues. It’s easy to see how this stunt could have gone south. Conservative groups could have announced that they would give up their Netflix memberships in protest. Someone who bought Netflix’s weed could have gotten sick or done something stupid while high and blamed the company. Or take the most famous recent example: Red Bull’s space jump. Imagine if Felix Baumgartner died or was gravely injured during the attempt. It would be hard to ever look at the brand the same way again. But if there’s no risk, then there’s no stunt and, of course, no reward. With all due respect, stunts are far from easy. Consider the many layers behind the IHOb stunt: It had to present a story arc for the media, be inoffensive yet interesting enough to garner attention and, most importantly, tell the brand’s story. The media likes to pile on when PR stunts fail but, in reality, brands only pull of a half dozen or so really good ones a year, if they’re lucky. In late 2010, Technical.ly Philly had a modest proposal: A weeklong celebration of the city’s tech firms called Philly Tech Week. That first event, back in 2011, was designed to give local tech companies a national spotlight. Eight years later, the event has succeeded beyond that mission. In a large part that’s because the region’s tech scene has grown so much in that time as well. Philadelphia is now the No. 18 city in terms of share of global venture capital investment. VC investment nearly doubled between 2010 and 2016 to $1 billion, though last year the total figure was down, mirroring a national trend. That growth was based on a confluence of factors, including a rebounding economy, and the continued adoption of tech across pretty much every industry. But after witnessing the energy and breadth of Philadelphia’s tech scene during the most recent PTW, the question is how do we maintain this momentum? My solution: brand the city. In the past few years, Colorado, Amsterdam and Melbourne, Australia, have launched new logos that sought to update their look. Those campaigns have had varying degrees of success, but consider how New York City’s “I Heart NY” effort helped change the image of that city from a fiscal basket case and crime-ridden, 1970s dystopia to the tourist-friendly destination it is today — the city now gets 59 million visitors a year. Philadelphia has a tourist department that does a great job advertising the city for visitors, but what about rebranding Philly for the tech community? For inspiration, look at Albuquerque, New Mexico, which has sponsored tech conferences and run ads on Facebook and Instagram to woo tech talent to the city. St. Louis, Mo., and Austin, Texas, have also worked hard to raise awareness for their tech scenes; Philadelphia should do the same. Both funding and the ability to attract talent depend on the narratives that people tell themselves about our city. Boston is known for smart companies, New York for savvy ones and Indianapolis for low-key unicorns and a culture of a heads-down work ethic. What is Philadelphia’s tech scene known for? One issue is that few people outside of the city are writing about it. That’s an opportunity. What the scene needs more than anything is a consistent, coherent narrative. Investors and the tech community should present Philadelphia as the third and most affordable spoke in the Boston–New York axis, where you can have access to solid schools, a burgeoning tech scene and a taste of gritty urban life. The city government and Mayor Jim Kenney have done a great job promoting Philly’s tech scene. Startup PHL, an initiative that provides support for area startups, is a great start and Kenney’s enthusiasm for programs like Coded by Kids illustrates the kind of forward thinking that the scene needs. According to an analysis by Brookings, Philadelphia would seem to have all it needs to become a tech hotbed. It’s a metropolitan center (98 percent of the Inc. 5000 are in such centers) with a young, college-educated population. And the city government is very pro-tech. The only thing I see lacking in Philadelphia is a story. Philadelphia should be the city you go to if you want to build your startup or even maximize your venture funding without wasting it on high rents. We need to figure out a way to conjure up a positive image when you mention the Philly tech scene. I am sure many of us have several ideas but a little collective thinking in this direction will go a long way. In 2008, a book called "Stuff White People Like: A Definitive Guide to the Unique Taste of Millions," noted that "white people love Starbucks" though they profess to hate it. In 2017, the online publication The Root listed "your barbershop becomes a Starbucks" as one of the downsides of gentrification. Starbucks has at times been synonymous with white America, and recently it found itself under a spotlight in the nation’s ongoing conversation about race. On April 12, two black men, Donte Robinson and Rashon Nelson, were arrested when they refused to leave a Center City Philadelphia Starbucks. They were waiting for a third man to show up, but a manager ordered them to leave because they hadn’t ordered anything. Both were arrested and spent nine hours in custody. Starbucks’ response to this horrifying event is unprecedented: the chain is closing 8,000 stores on Tuesday for company-wide racial bias training. While some have called this an overreaction, anything less would have been aptly labeled an under-reaction. When every action is filtered through social media, companies need to offer grand gestures to show they’re serious. Starbucks’ response is just that: It’s smart public relations strategy even though the problem it addresses runs deeper than any length of training could realistically tackle. To consider why Starbucks’ grand gesture is smart, look at how the company has flipped the narrative on this issue. If Starbucks had merely offered an apology, then the brand would have stood for white indifference to black Americans’ very real differential treatment. By taking the issue seriously, Starbucks has put itself on the right side of the discussion. The company is acknowledging that there is a double-standard on race and is attempting to do something about it. Starbucks has even been vocal on this issue before. In 2015, the chain launched Race Together, a campaign that sought to spark dialogue among baristas and patrons over race relations. It was a failure, but many people similarly concluded that Starbucks’ heart was in the right place. Corporate re-training initiatives are Dilbert-esque affairs that may be hit or miss from rank-and-file employees. After Bill O’Reilly was ousted from Fox News for sexual harassment, everyone who appeared on the network had to take part in similar retraining. The same training happened at NBC after Matt Lauer was dismissed. While the goal in many cases is to avoid lawsuits, in a recent Left, Right, and Center podcast, National Review editor Rich Lowry conceded that even though he thought the exercise after O'Reily's ouster was silly, having to go through it likely made women on the network feel more secure that it doesn’t tolerate such harassment. The same is likely to be true for Starbucks. Though it’s safe to say some employees may view the initiative as not the best use of time, black Starbucks customers may feel more comfortable there. The problem of unequal treatment of black Americans is a much bigger topic than one coffee chain can address. Starbucks could close permanently and the discussion of race relations in America would continue. But Starbucks at least is attempting to do the best thing that a corporation can do in this situation: it demonstrated that it takes the issue seriously and put that concern ahead of short-term profits. Despite what you may have heard about the “failing New York Times,” the newspaper had a bang-up year in 2017. Digital-only subscriptions to the Times jumped 46 percent in 2017 and overall subscription revenue eclipsed $1 billion for the year. In fiscal 2017, meanwhile, the Wall Street Journal added 300,000 digital subscriptions. On the other hand, we’ve seen the public perception of some newer media properties slide. A University of Missouri survey of consumers last year found that Occupy Democrats, BuzzFeed and Breitbart were the least-trusted news sources. Atop the list of the most-trusted was The Economist, whose subscriptions rose 30.8 percent in 2015. The Economist is on a mission to double its circulation profits by 2020. What we’re seeing is a flight to quality. Facebook’s latest “friends and family” algorithm tweak has watered down the effect of clickbait headlines. Though there’s still a market for such fare on Google News, Google itself has recently announced a $300 million commitment to support quality news outlets. That initiative includes Subscribe With Google, a feature that will let readers subscribe to news sources via their Google accounts. Welcome back to the age of subscription-based news. The earliest American newspapers were subscription based because they were outgrowths of political parties. But mass printing technology after the Civil War prompted the rise of cheap newspapers distributed in the cash-and-carry method by newspaper boys. In this environment, the most sensationalistic headlines sold the most papers. Truth was irrelevant, because the idea was to win the day’s sales. Such yellow journalism led to the Spanish American War. In the 1890s, the Adolph Ochs-led New York Times countered the spread of yellow journalism by promoting his paper as the opposite: a sober publication that emphasized truth over sensationalism. Sound familiar? The digital equivalent of shouting newsboys is the flurry of clickbait headlines on Facebook and Google. But now Facebook has choked off the supply and Google is at least taking steps to weed out fake news and promote the idea of subscriptions rather than impression-based news sources. Great story, but is it true? Once again, our news sources appear to be party-run, if not in name then in spirit. Democrats don’t trust Fox News and Republicans don’t trust MSNBC. In truth, most of us understand that both outfits tend to present a biased interpretation of events rather than objectivity. We’re wiser than we were a few years ago. Most of us no longer take any web-based news at face value unless it’s attached to a brand we trust. This, of course, tilts the advantage to incumbents, but newcomers can make their mark with accurate reporting and great storytelling that’s uninfluenced by click-through and share rates. The good news is that we’re working towards a baseline of truth that will curtail the corrosive atmosphere of fake news. The bad news is, if you want that truth, you’re going to have to pay for it. This article originally appeared on Odwyer's. At the start of the year, Philadelphia had a 16-to-1 shot of becoming the home of Amazon’s second headquarters according to Irish betting site PaddyPower. In the event, however, that Amazon opts for another city, the blow to the city’s tech scene might sting, but it is far from fatal. Today, Philadelphia isn’t generally recognized as a center for tech innovation. However, times are changing fast, technology is pervasive across all kinds of industries and in the spirit of Benjamin Franklin, this American cultural icon is stepping up to the plate. Transformation is well underway. Philadelphia is now among the top startup cities in the U.S., and boasts more than 300 startups that call the region home, including innovative tech companies such as Stitch, Borderwise and NeuroFlow. Though it slowed down like the rest of the industry last year, in 2016 some 178 deals closed for a total value of just over $1 billion. Philadelphia has lots of other elements working in its favor, too. The region has more than 100 degree-granting institutions, including Penn, Templeand Drexel. But unlike other tech hubs, Philadelphia is also livable. Comcast, of course, also calls the city home and Vanguard opened a 16,000 square-foot innovation center downtown last year. Philadelphia’s other attributes that make it a logical home for tech firms include a diverse population, bike friendliness and a range of excellent restaurants (not to mention world-class sports teams, ahem — go Sixers). Those seeking a better work-life balance appreciate the city as a more affordable alternative to New York and Boston, and for those who want to raise a family yet enjoy access to one of the top cities on the East Coast, Philadelphia is waiting for you. When compared to suburbia or exurbia, Philadelphia should have the edge for millennials who claim they want to live an urban environment. In the past, some have surmised that Philadelphia was too family-oriented to draw the type of young tech talent that flock to Silicon Valley, Boston or New York. But a lot has happened in the past few years. Widespread digital transformation literally means there’s tech talent needed for every major company now. And, since technology is everywhere, tech talent has a lot more choices. If the cost of living in San Francisco doesn’t dissuade you from living there, then the city’s omnipresent tech scene and the presence of tech bros might. These days, the tech industry isn’t like entertainment where you really have to live in one or two areas (Los Angeles or New York) to ply your trade. If your goal is to run Google someday then, yeah, you should probably head elsewhere. But if you’d be happy working in tech and having some family balance, then Philadelphia is a great choice. My PR agency, Indicate Media, is no exception to this rule. While we love our NYC roots, we are putting our money where our mouth is and opening our Philadelphia operations in Q2 2018. With the growing tech opportunity expressed above and the ability to find great talent within the Philadelphia borders, we see tremendous opportunity to help this city’s tech talent tell stories that both resonate and squarely position themselves as viable players in the ever-present national and international tech ecosystem. Rock behemoth Gibson Guitar is facing bankruptcy, leaving scores of music fans to ponder what went wrong. Some argue its the decades-long decline of rock music’s popularity that explains the demise of this musical instrument company. But, first impressions frequently miss the mark, and this writer argues that Gibson’s demise has more to do with a forgotten story than anything else. Originally founded in 1896 by Orville Gibson, who at the time was a famous manufacturer of mandolins, Gibson Guitar's were originally renowned for their innovative wood designs, durability and heavier sound quality. For the next forty years till about the 1940’s, the company was the leading manufacturer of both mandolins and acoustic guitars until a peculiar design change began revolutionizing the world of guitar manufacturing. Guitars, originally built from several pieces of wood and hollow on the inside, began to be made from a single piece of wood with added electronics. These first designs (created by Les Paul, an employee of Gibson) were rudimentary and made from solid pine with electronic pickups and strings attached. Fast forward through the next fifty years, guitars manufactured by Gibson became the gold standard of musical instruments, with connoisseurs arguing over which year produced the best model. Naming the most famous musicians who prefer Gibson is impossible - B.B. King, Jimmy Page, Joan Jett, Bruce Springsteen and Prince—the list is endless and covers a who’s who list of musical luminaries. As we know, adaptability and flexibility are two important attributes for longevity in business. Whether advancements in technology render current methods outdated, or demand for a product decreases over time, at some point most businesses must reinvent themselves in order to remain viable. 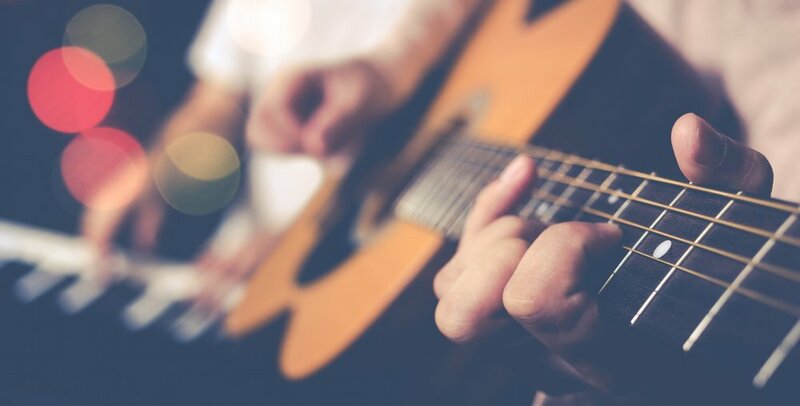 Evolving from a mandolin company to an acoustic guitar company and from an acoustic company to an electric guitar company are simply examples of being clever in business and adapting to the ever-changing customers' needs. What went wrong? Enthusiasts argue the company lost sight of who it was, what it did well and what story it was trying to tell. A guitar manufactured by Gibson was an expensive instrument, a workhorse that would last a lifetime and be passed down generations. Even though they were expensive they were worth the price. But somewhere along the way, in an attempt to attract a larger consumer audience, Gibson started manufacturing cheaper guitars and used lower-quality products. The woods used were not cured properly which caused the instruments to warp and the electronics weren’t as high-end. The result, of course, was the guitars played poorly and deteriorated over a short time. Ultimately, the company made a lower-priced product with a high cost to the brand’s reputation. And equally as fatal, Gibson grew out of sync with its core audience and forgot the consistent story it told for over a hundred years. It even got worse when the company began assuming its customers would want their instruments to be gadgety and began selling self-tuning guitars and guitars with a myriad of built-in sound effects. Both endeavors failed and failed miserably. Any guitarist knows that the first thing they need to learn is how to properly tune their instrument, so a tuning device actually was a counterintuitive feature. On top of that they weren’t user friendly and required a charging cable for the instrument to be playable (think about that, a charging cable for a guitar), not to mention the devices tuned a half-step flat. Eventually, Gibson figured this out and offered to take back the guitars sold with the self-tuning feature and “repair” them to be regular, old fashioned guitars. As for their guitars with a variety of sound effects, they were also a colossal flop. Guitarists enjoy the science and challenge of creating their own tone and style using pedals and amps, so a guitar with built-in sound effects was seen as gimmicky. The new guitars seemed to come from a company that was marketing to the idea of a guitarist, and not a company of musicians thinking about what musicians themselves wanted. Another problem was the company cast its net too wide. Over the past two decades, Gibson tried to grow its brand by acquiring several musical instrument companies which most of them tanked within the span of a few years (Baldwin Pianos, Ludwig Drums, KRK Audio Systems, Cerwin-Vega PA, Stanton DJ Equipment, the list goes on and on). With these acquisitions, Gibson showed ambition but lacked a game plan and the reinvention of its story. For whatever reason, whether lack of funding or foresight, these companies never developed new products once they were under Gibson’s umbrella, and they couldn’t hold their own against competitors in the field. So, here is the takeaway. A successful business isn’t it in alone, rather its story is a collaboration of its employees, customers and stakeholders. Orville Gibson manufactured quality mandolins, and the company saw an opportunity to expand the design to acoustic guitars. Les Paul repeated this with his electric guitar design. The best work of Gibson was created by people who deeply loved and understood the products they were making and the customers they were selling to. When a company abandons its story and begins making changes for the sake of changes, problems arise. The story of Gibson reiterates the constant need for companies to stay focused on their audience and what will best serve them in the long run. Losing sight of this shows, as Gibson has shown us, that the stairway to heaven is always right around the corner. Intel is bungling it's Meltdown messaging. Here's how to fix it. Intel and pretty much anyone with a computer awoke to the new year with a huge buzzkill: a report that all Intel chips have huge security vulnerabilities—dubbed Meltdown and Spectre—that hackers can use to obtain passwords, security keys, and files from a user’s hard drive. Even worse, the patch for this vulnerability will slow computers by as much as 30%. Pretty much every Intel-based computer made since 1995 has the vulnerabilities. Mobile devices with Intel chips are also vulnerable. As a result, any business owner was wondering how this affects them and what they can do about it. Unfortunately, Intel itself hasn’t been much help. Rather than provide consumers with such information, it has dug in its heels to dispute the report and continue with its regularly scheduled marketing messaging—promoting its Winter Olympics sponsorship. This PR approach is damaging the brand every second. If Intel wants to preserve its good name, it needs to put the customer first and its corporate ego second. Despite its huge install base, Intel has not been proactive about announcing this security flaw. Instead, security researchers noticed that Linux and Windows programmers had begun introducing beta updates to address those vulnerabilities. Then Intel rival Google’s Project Zero released full details about Meltown and Spectre. Intel cooperated with that research and has said that it planned to make a statement about Meltdown and Spectre, but the press scooped it. As its stock cratered, Intel released a statement arguing that the assertion that the issue was related to a bug or flaw is incorrect. The statement also said that Intel was working with other tech companies, including AMD. But AMD said that its chips are not subject to the same types of attacks. Confusing matters further, Business Insider reported that Intel CEO Brian Krzanich sold $24 million in stock in November, when the company was aware of the issue. That left Krzanich with the minimum amount of stock he is required to keep under his employer agreement, according to the website. Intel's response improved over time. On January 4, Intel released a FAQ that denied that the issue was related to a bug or flaw in Intel products. It advised customers worried about their data to contact their OS provider and system vendor. While Intel dug in its heels, those of us with computers using Intel chips were left wondering if our passwords and personal information were at risk of being stolen. Intel itself has been no help. At this writing, the company’s homepage was hyping its Winter Olympics sponsorship. Aside from Intel’s statement, available under the "newsroom" link, there was no acknowledgment of this issue. Maybe the press is making too big a deal of this. But based on past experience with Equifax, for one, consumers have every reason to be suspicious and angry at Intel for its "nothing to see here" approach and its CEO’s curious actions. 1. Coordinate the customer and tech messaging ASAP. Consumers and businesses need a consistent message. Intel spokespersons should work off the same playbook and be very clear about what happened and why. This is national breaking news, so Intel can’t pretend that it’s a minor glitch. 2. Set up a process to respond to customer questions and requests. Customers are worried that they’ll be hacked and that their computers are about to slow down dramatically. They don’t want to hear about the Winter Olympics. Customers need to feel Intel is working for and with them through this unanticipated technology blip. The company needs to leverage all of its social channels to ensure that consumers can easily find the information they need. Telling consumers to check with their OS provider or manufacturer is buck-passing. Intel needs to link to that information from its website. 3. Use CES as a platform. The timing of this incident works well since it’s right before CES, when the whole tech community will be gathered in Las Vegas. What better opportunity for Intel to get its message across? Rather than stonewall journalists at the event, Intel needs to err on the side of giving them too much information. As Target’s recent experience has shown, consumers are remarkably forgiving of brands they like. The public also has a sophisticated view of tech security and know that there’s no solution that will work 100% of the time. That’s why while there’s considerable downside for Intel, the company is only making things worse for itself. Going forward, Intel needs to focus more on its customers and less on itself. A loooong, no fun, please make it stop, data-filled presentation by an entrepreneur. Or even worse, maybe you were that presenter - it happens! While quantitative data, albeit boring, is central to any business, presentations truly come alive with stories. Now let’s ask ourselves why this is the case. And, why entrepreneurs should move beyond the boring business-as-usual to learn how to tell compelling stories. Here’s a fact: An entrepreneur with a promising business idea—but an inability to sell that idea—will rarely find success. Entrepreneurs must communicate the value of their offerings. Jennifer Aaker, Stanford University Professor, discovered that stories are remembered up to 22 times more than facts alone. Which means, your entrepreneurial story—and why you do what you do—may literally be the very foundation of your success. 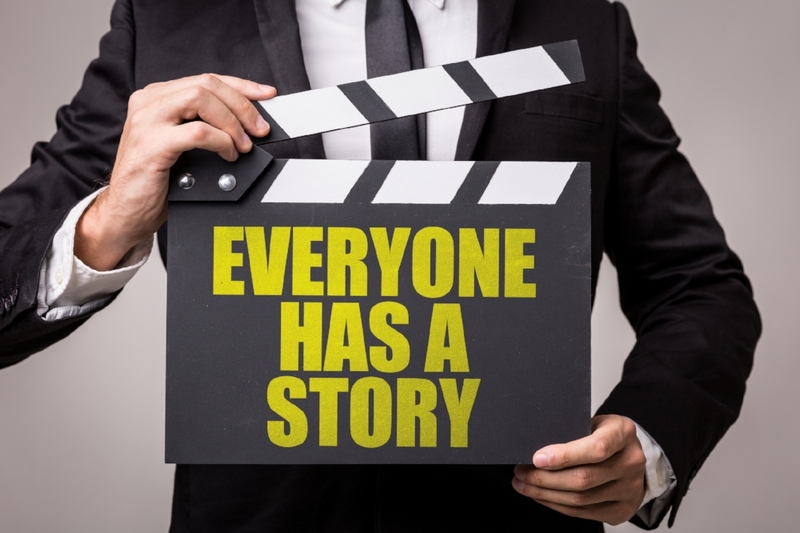 Creatively telling your story is one of the most powerful ways to emotionally connect with your audience. So, how does one inspire people to listen, understand and critically think about what you have to offer? Take William Shakespeare who is considered one of the most remarkable storytellers. The language of “To be or not to be,” still resonates with us to this day. He had a knack for using syntax, humor and drama to tell his audience a story. Or consider Mark Twain, the pen name of author Samuel Clemens. Twain mastered the craft of humorous storytelling and his writing still matters more than 100 years later because it is centered on human nature—something everyone can relate to. History can teach us that language, form and the delivery of your story matters. And, while most of us will never reach the heights of a Shakespeare or Mark Twain, we can all do better than simply spouting quantitative data. We all understand that storytelling isn’t just a thing of the past. There is a lot to learn from the living as well. Picture a teacher reading to her class or friends chatting around a campfire: modern life is rooted in storytelling. It’s everywhere: with comedians like Ellen Degeneres, songwriters like Bruce Springsteen and business leaders like Sheryl Sandberg, modern-day storytellers are at the center of our culture. Some of the greatest professionals today are successful because of their ability to tell stories. Bruce Springsteen built an entire career telling the stories of the common man. The New Jersey factory worker who scrapped to get by or the rebel teen who grew up in a time of civil unrest. His stories are played out in song and dance and have led to one of the most profound musical careers of this generation. When you go to a Springsteen concert, the audience knows every word to every song. Imagine if your audience is able to recite your story back to you? Isn’t that the point? Let’s look at Sheryl Sandberg, an American technology executive, activist, and author. A few years back, as Facebook COO, Sandberg planned to deliver a data-filled presentation about women in the workplace. A friend convinced her to scrap that and share the challenges she faced as a working mother. Sandberg took her friend’s advice and delivered what went on to become a viral talk, leading to an extremely successful book and movement titled, Lean In. Sandberg reinforced the lesson that presentations are not all about statistics. Both Springsteen and Sandberg reinforce the notion that people are inspired by stories—especially when they can see themselves in those stories. And, just as Sandberg discovered, studies show we remember stories better than facts and data. Stories need to be strategic, intelligent and aligned with an audience. The greatest storytellers know how to legitimize their stories with intellectual material while captivating their audience with emotion. Twain rooted his jokes in human nature. Sandberg shared relatable challenges of motherhood. The most effective storytellers determine what material will resonate with their audience and tailor their stories accordingly. Though there are many proven ways to structure a great story, there are no quick tricks. The best stories require research, critical thinking, preparation and practice. And while it takes time to craft a business story that people remember, your ability to do so will have a direct impact on your success. How will you make your story compelling? IIoT promises to revolutionize manufacturing. Read any recent industry analyst report and you’ll find the experts agree - the Industrial Internet of Things (IIoT) is rapidly gaining global traction, and poised to drive seismic change across design, manufacturing, operations, service, and maintenance in a wide range of industries. Enabling technologies like sensors, automation, remote monitoring, Virtual Reality (VR), wearables and even robotics, will be the primary drivers pushing “Industry 4.0” along a very fast track. Helping these countries establish a prominent role in the global supply chain. In the U.S., IIoT adoption currently lags behind Europe with 67% of companies surveyed by ABI Research responding they do not currently have IIoT solutions in place. That’s the bad news. The good news is 74% also said they are either investigating, assessing, or planning to deploy such solutions in the next 12 months. Translation? There are exciting growth opportunities ahead for those companies ready to market their technologies within the IIoT ecosystem and beyond. So the question becomes, how will your company communicate your value proposition and reach your target audiences? Commenting publicly on the latest IIoT trends is one effective way to be sure your company’s story is being heard - and raising your signal above the noise. Proprietary Data. Protecting proprietary data from security challenges and associated risks is often cited as a leading factor behind companies being slow to implement IIoT solutions. Being able to allay those fears by having the appropriate messaging in place will inspire confidence in your potential business partners. More details are available here from Infiniti Research. Return on Investment (ROI). For every company operating within the IIoT space, developing an effective IIoT go-to-market strategy that demonstrates clear ROI is crucial. Your competitors likely already have a strategy in place. Don’t fall behind because there’s no chance of the pace slowly down. Review this joint survey conducted by PwC and MAPI for findings and guidance on monetizing (and messaging) your IIoT solution. End to End Solutions. What role will your solution play in the IIoT ecosystem? Generally, technologies either push or pull data. If your solution is a “pusher,” it’s important to take a step back and assess the smarts of your devices and data platform. If your solution is a “puller,” you need to evaluate your data analytics capabilities to accurately time your requests for data. Knowing how your solution best operates within a secured, efficient and scalable end-to-end solution, and being able to communicate its added value in the production chain, will go a long way in determining your success. At Indicate Media, we can work with you on how to communicate on the above data points as part of a strategic, smart and successful digital public relations campaign designed to secure maximum exposure and achieve needed results. We will work with your team to deliver quantifiable results and outcomes. Sound good? Let’s talk. To schedule an introductory call, contact us at IIoT@indicatemedia.com. Entering a partnership with a venture capital firm is a complex decision. In 2016, there were 898 venture firms in the United States alone. This competitive market makes the process of choosing a VC difficult. Entrepreneurs need to consider their investment strategy and search for investors with expertise in their market. Before agreeing to meet with a VC, the most promising entrepreneurs conduct meticulous due diligence by reading blogs, Tweets, and articles. Which poses the question: In venture capital—where everyone’s money is just as green—how can your VC firm stand out? Over the past three years, venture capital firms have recognized an increasing need for marketing and public relations. In 2014, an East coast team became the first venture firm in Boston to hire a Director of Platform. A Platform in venture capital is when investors offer resources to entrepreneurs beyond money and their partner’s time and expertise. Directors of Platform oversee strategic internal and external initiatives like marketing and design to support portfolio companies and the local startup community. From a strategic perspective, these hiring decisions make sense. Firms that dismiss the power of branding, risk competing solely on price, valuation, and terms—not the most powerful differentiators. “[Entrepreneurs] want [their] key investors and board members to have a fundamentally strong conviction in what [they] do as a company and [who they are] as an entrepreneur,” wrote Bansal. A VC firm must communicate these. Demonstrating credibility and capturing the personality of your partners requires intentional public relations efforts. So, what does effective PR look like for a top VC firm? Five years ago, Marc Andreessen and Ben Horowitz proved the power of branding and content marketing for VC firms. By engaging in aggressive marketing through blogs and Twitter, these two venture capitalists appealed directly to their target audience: top-tier entrepreneurs. To strengthen the firm’s PR efforts, Andreessen Horowitz hired Margit Wennmachers, founder of Outcast Communications P.R. firm. Wennmachers organized dinners with reporters and pitched story ideas to build a strong brand for the firm. These strategies were instrumental in establishing Andreessen Horowitz’s credibility and consequent success. In just three years, Andreessen Horowitz raised $2.7 billion—more than any other venture capital firm in that same time span. First Round Capital leveraged the power of Camille Ricketts, Head of Content and Marketing, to grow their new publication, First Round Review. Jason Lemkin launched SaaStr Annual. Two years later, the event attracts over 10,000 attendees. Mark Suster, angel investor and investment partner at Upfront Ventures, built his brand by creating content for entrepreneurs on Twitter and his blog, Both Sides of the Table. Fred Wilson branded his firm, Union Square Ventures, through his AVC blog and Twitter. “Today, you will be hard pressed to find a venture capital firm where at least one partner isn’t actively producing content in an effort to position themselves as the smartest VC out there,” said Janessa Lantz, Senior Manager of Marketing at Hubspot. The best VC firms use integrated marketing campaigns to build brands that are consistent and received by the firm’s target market. From company publications to events, blogs to Tweets, VC firms cannot dismiss the power of branding. Brand credibility can lead to enhanced deal flow. Platform offerings can be additional differentiators in an over-competitive market. Firms can achieve better deal terms and structures. Teams can leverage brand equity to attract and retain high caliber employees. Companies tend to be most successful when they tie their vision and objectives to tangible communication strategies and tactics. How can your firm benefit from integrated PR and strategic communications? From our years of experience in public relations, we know it can be challenging for both established companies and startups to stand out in a crowded field. Today, this is particularly true for the highly competitive drone industry. New players are jumping into the mix, and acquisitions and strategic partnerships are making established companies even more formidable. That’s why we’re back with even more insights and recommendations to help your drone company rise above the noise - and stay ahead of the swarm. Let’s start with the insights - and brace yourself for some mind blowing numbers. A few weeks ago, we attended an amazing research briefing “Flying High: The State of Drone Technology” (h/t CB Insights), and heard some incredible things. For example, did you know that since 2013, drone companies have raised $1.5 billion dollars across 302 deals? In 2016 alone, more than $450 million was invested in drone companies. It doesn’t stop there. According to Gartner, production of drones for personal and commercial use is growing rapidly, with global market revenue expected to increase 34 percent to reach more than $6 billion in 2017 and grow to more than $11.2 billion by 2020. Almost three million drones will be produced in 2017, 39 percent more than in 2016. Make it easy to find you. (Search Engine Optimization) Just to put things in perspective, a simple Google search on the word “drone” brings up 176,000,000 results. So how can your drone company move up towards the top of that pile? The most effective way is through Search Engine Optimization (SEO) - the process of enhancing your website’s pages with “keywords” that summarize who you are and what you do, and will attract the attention of search engines and in turn boost your rankings - making it easier for prospective customers, business partners and investors to find you. Now take it a step further by adding those same keywords to blog posts along with links to high-traffic sites. The combination of both will not only improve your search ranking, but also help maximize the number of visitors to your website, and increase awareness of your company across all search engines. Now that’s what we call a win/win/win. Just don’t “overstuff” your site with keywords. Search engine algorithms are smart and will know what you’re up to. Don’t just socialize among yourselves. (Paid Social Media Ad Buying) Making an investment in paid social media ad buying across platforms like Facebook, Twitter and Instagram presents unique opportunities to reach your targeted audiences with valuable and engaging content. The companies who do this most effectively speak to those audiences with one authentic and unique brand voice that resonates across all channels. Monitor the words your customers use to describe your products - hopefully nothing NSFW - and incorporate them into your ad campaigns. Publish or perish (Content Management, “Content Clusters”). We touched on this tactic in the SEO tip, but it’s worth elaborating on here. Publishing a steady drumbeat of engaging content on your website blog is an effective way to share company news, present thought leadership positions and attract more visitors. But don’t stop there. Create a “content cluster” by leveraging a topic across text, audio and video media. Blog posts can be edited and submitted in the form of bylined articles to media outlets and other blogs that accept contributed content (review submission guidelines first to be sure your topics are on target). You can also turn those topics into podcast segments, online videos, and more. At Indicate Media, we can work with you on all of the above as part of a strategic, smart and successful digital public relations campaign backed by powerful data analytics that will deliver quantifiable results and maximum outcomes. Sound good? Let’s talk. To schedule an introductory call, contact us at drone@indicatemedia.com. When it comes to storytelling, we always counsel our clients to keep it short and sweet, and condense “elevator pitches” down to 90 seconds or less, but today, we’re going to drone on a bit…only we promise it won’t be boring! Quite the contrary. Based on recent industry analyst reports and market research firm predictions, plus our own independent research, it’s clear the future of the (you guessed it) drone industry is as bright as a clear blue sky. Forecasts indicate nearly endless opportunities hovering on the horizon across land, sea and sky (remember - drones don’t just fly). Drone companies prepared to maneuver through obstacles, rough waters and inevitable pockets of turbulence (see what we did there?) - also known as consolidation, regulation, and increased competition - will undoubtedly be a part of the expected industry growth in the years ahead. So that’s the good news. Public and government perception of the drone industry, however, isn’t all sunshine, calm seas and rainbows. For example, recent media coverage of dangerous close encounters involving drones and jets near Newark Liberty International Airport and London Gatwick Airport raised serious public concerns. It also captured the attention of government agencies now considering increased regulations for drone operators both here in the United States and abroad. Break it down (storytelling). Drone technology can be complicated. That’s why it’s absolutely essential that your company’s story is broken down into easy to understand language when communicating with the media, potential business partners, investors and the public. Work on your “elevator pitch.” You should be able to describe your company and business model in three sentences or less. If you see eyes starting to glaze over when talking about your business, use analogies and real-world examples to wake ‘em up and truly bring your drone story to life. Hot topics (messaging, thought leadership, media training). Consolidation, safety regulations, industry legislation and increased competition are the hot drone-related topics in the media. If you want to be out there joining in on these discussions, brainstorm as a team, and get your message down. Keep your target audience(s) in mind at all times. Ask yourselves, who do we want to reach with your messages? What do we want to say to them about these issues? What impact will our statements and positions have on the value of our company’s brand and public perception of our business? Those are the questions you need to answer as you begin to formulate your messages. And once you’ve nailed down your messaging, you’ll need to train your spokespeople to communicate them effectively. Every picture tells a story (video production and data visualization). Based on YouTube views alone, people LOVE to watch drone-related and drone-generated videos. The good news is you don’t have to break your marketing budget to film one. Heck, you can even use a smartphone. When you’re ready, share it via your company’s YouTube, LinkedIn, Facebook, SnapChat and Instagram accounts to drive traffic back to your website. Data visualization tools like infographics can also help tell your story. Use them in your website blog posts and marketing materials. The old adage, “a picture is worth a thousand words” is especially relevant for the Drone industry. Suffice it to say, there are many exciting opportunities ahead for your drone company that you should prepare for - and we will be watching closely. Let’s work together on them. At Indicate Media, we can help you formulate a winning communications strategy. We will be creative and strategic, and assist you in building brand equity that drives business results. Sound good? Let’s talk. To schedule an introductory call, contact us at drone@indicatemedia.com. Now that baseball season and the NBA playoffs are officially underway, we at Indicate Media, haven't been able to sit still for a mere second! With that being said, we've compiled the top three stories we found productive, worthwhile, and invigorating to suit your adrenaline-filled month. Ever wanted to finally be able to get your drawing chops up to par with the rest of your creative friends? Well, Google has recently launched a new website that turns your Paint-level drawings into fun, engaging, and most importantly, recognizable drawings by using artificial intelligence to determine what you were trying to draw. This Business Insider article explains this amusing new update that won’t turn your drawings into a Mona Lisa, but will exponentially improve the doodles you were making before. As everything is seemingly on mobile these days, almost every brick and mortar store has some sort of digital media strategy. Trying to improve such companies’ efforts, photo-sharing giants Snapchat have developed a new tool called Snap to Store, where advertisers with physical stores can actually track how their in-store traffic correlates with their respective Snap campaigns. This The Drum article goes into further depth on how the new Snap update (currently in beta testing) will improve efforts of companies who are interested to see a return from online marketing. After a somewhat tumultuous week for big name companies around the globe, including controversies from different key players, we see how easy it is to tarnish a company’s reputation with one wrong move. However, in the midst of these events, PR Week has written an article showing how brands can easily gain positive repercussions by focusing on their individual followers. Square burger pundits, Wendys, has everyone on social media erupting over their amicable conversations with a 16-year old teen from Nevada over an opportunity for a full year of free chicken nuggets. This PR Week article uncovers the importance of humanizing your brand by direct customer interaction. That's it for today and we better not catch any of you trying to score an endless amount of fast food. The big Apple wakes up bright and early this April 10th and we at Indicate Media, have compiled the top stories we found valuable, insightful, and compelling to begin your week in the most productive way possible! If you grew up in the 90’s, you most likely watched the Terminator movie series and certainly found amusement in reciting Schwarzenegger’s iconic, “I’ll be back!” catchphrase. Fast forward to 2017, as we see new technology emerge nearly every day, the idea of human-like machines roaming the world doesn’t seem too far off. And it’s not, because a Swedish startup hub has begun to inject their employees with microchips to function as swipe cards. This alarming CNBC article dives into what could be the start of an apocalyptic cyborg revolution. As if smart phones and constant notification alerts weren't enough to steer your attention away at work, social media giants Facebook are unleashing a new feature that will surely put a grin on your boss’ face. Looking to further dip their feet into workplace services, Mark Zuckerberg’s brainchild will soon offer a free version of their Workplace service, a tool businesses can use to connect their employees, giving them the ability to chat and connect right on Facebook. This brief Mashable article, explains the new features of what could potentially be a new trend in offices around the country. For decades, journalists and PR professionals have been in a constant struggle to find a common ground. With personal interests from both ends, the transitions and conversations between each counterpart have failed short in being as smooth and fluent as everyone would desire. From different stances to erroneous methods, there are countless explanations as to why the process was always such an arduous one. Kevin Allen from PR Daily provides us with a handy article accompanied by an infographic on multiples ways how PR professionals could better cultivate their relationships with reporters. Good morning “Capture The News” readers! Now that March is finally over and done with, we are officially a quarter of the way through 2017. Time really does go by fast when you're working hard. Here are the top stories we compiled to start your week in the most productive, engaging and motivating way. At a time where unlocking your phone via facial recognition and having your “aid”, Siri, reminding you of your Friday night plans is just another day at the office, it sure feels like we are finally living in the future. Even so, it might be hard for some to grasp the fact that our online privacy has changed significantly now that Congress has officially voted to eliminate online privacy rules set forth by Obama and the Federal Communications Commission (FCC). What a time to be alive, right? In an effort to help their readers retain the most amount of privacy they can, Mic.com provided this practical list with multiple ways in how we can protect our internet privacy now that we are seen as price tags for Telcom companies everywhere. Whether you are an optimistic free-spirit or a solemn debbie-downer, 2017 surely has a demographic where you fit right in. Transportation app Lyft decided to play to the more open-minded crowd with their new donation feature. In an effort to pick up some traction while their head-to-head rivals, Uber, are going through a seemingly never-ending existential crisis, Lyft is now offering users the option for their passengers to donate a portion of their rides to the charity of their choice. TechCrunch gives a nice overview of the generous new feature in this article. With social media and tech developments happening faster than we can attempt to keep up with, the marketing professional of 20 years ago would be more lost than a kid in an amusement park today. It’s crucial for marketers (or any professional for that matter) to stay up to date with what’s going on in the world if they want to land prospering opportunities for their clients. Martech columnist, Justin Dunham did us all a huge favor by putting together a list of effective ways to enrich our strategic content-market toolkit. Stay safe and have a productive rest of the week! If you are anything like us, you also hate rainy Mondays. What a drag to start the week with umbrellas and wet shoes. As the popular saying goes, it can only get better from here, right? Here are the top news stories we found interesting, relevant and valuable to start your week. With the live-content mania raging stronger than ever, most social media platforms have rolled out new live streaming features for their users. After introducing their 'Instagram Live’ feature last year, the Facebook-owned photo-video giants announced that users are now able to save their live streams directly from their phone to their camera roll. This AdWeek article covers the ins and outs of this new feature that promises to add more spark to the way we share our stories. After one of the most interesting presidential races in US history, few topics have been talked about as much as “fake news.” As validity concerns topple over what we share with our peers on a daily basis, Facebook announced a new initiative intending to put an end to fictional stories over issues that really matter. This Guardian piece further explains the advantages of this new fact check. As technology advancements move forward, human value is being progressively overlooked as each day goes by. And there might be a good reason for that. In a field like PR, human validity and intuition still play huge roles in securing leads and successful results for your clients, but how long will that last? This informative Forbes piece illustrates just how much time we have left until machines start REALLY making their impact in the PR world.